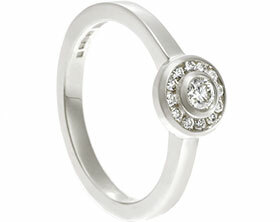 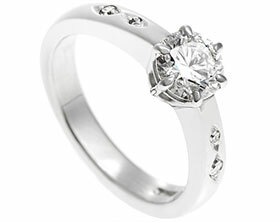 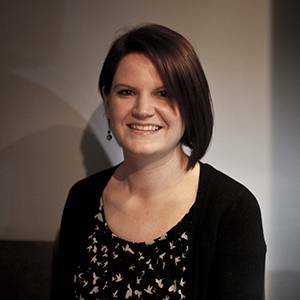 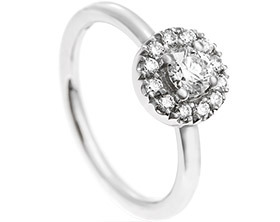 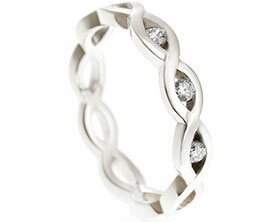 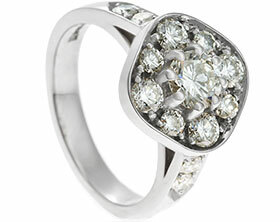 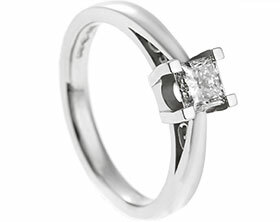 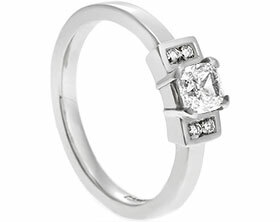 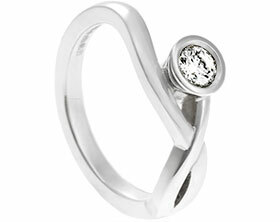 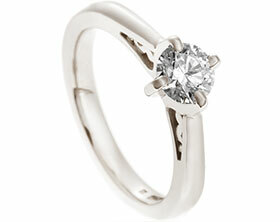 James wanted to surprise Verity with this stunning handmade 9ct white gold ring. 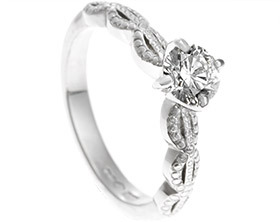 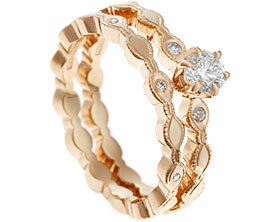 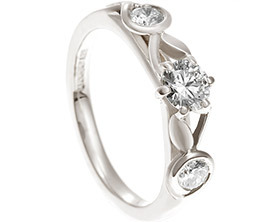 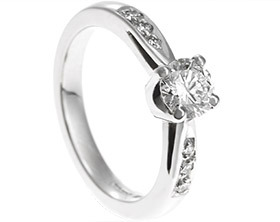 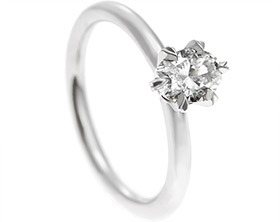 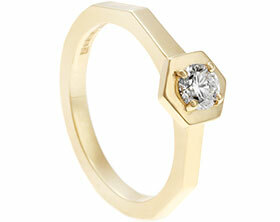 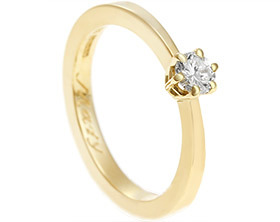 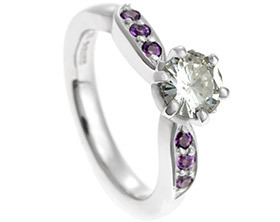 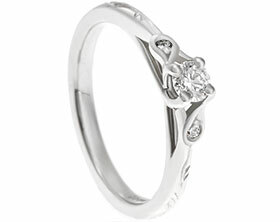 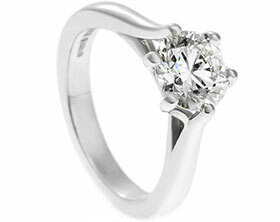 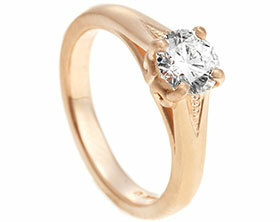 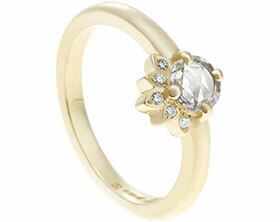 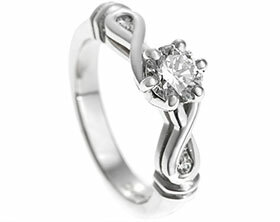 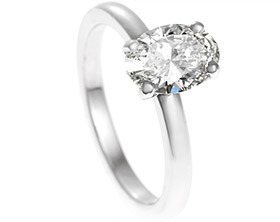 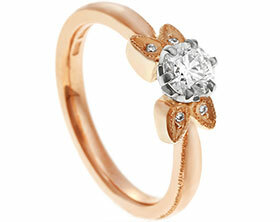 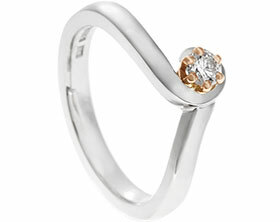 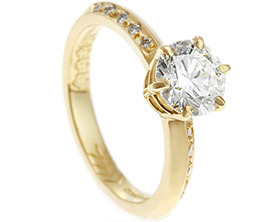 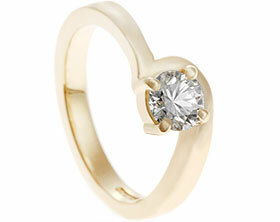 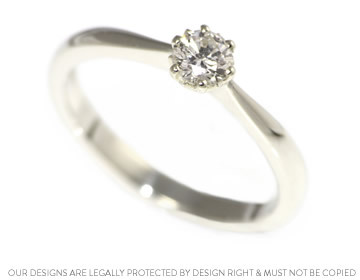 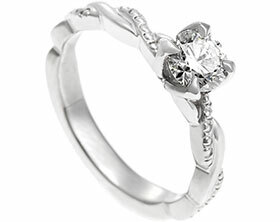 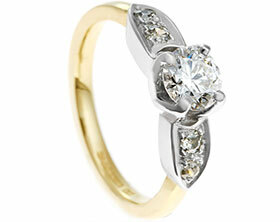 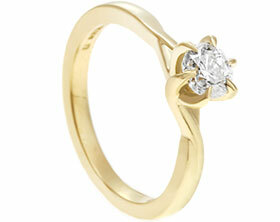 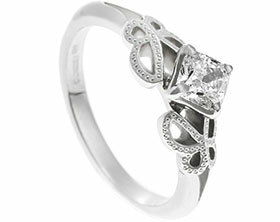 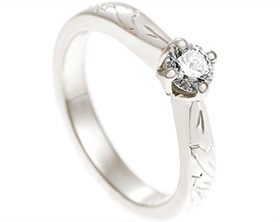 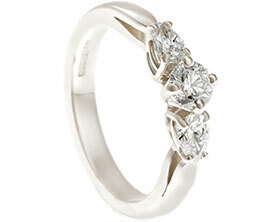 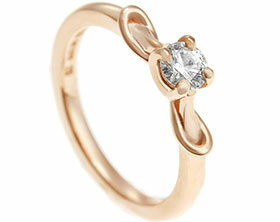 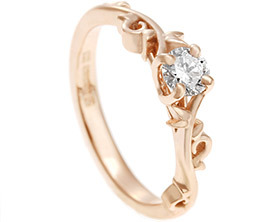 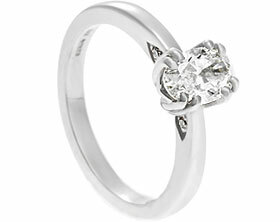 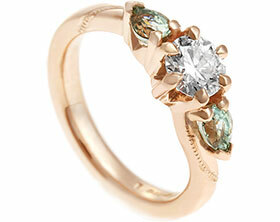 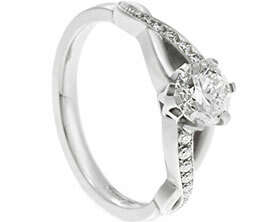 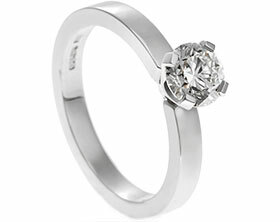 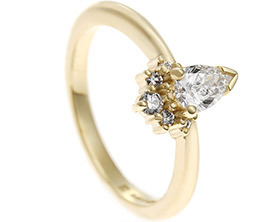 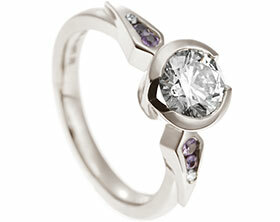 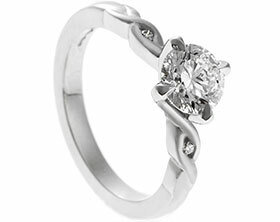 The flower inspired 6 claw setting holds a 4.35mm (0.32ct) F Si brilliant cut diamond. 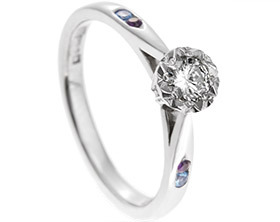 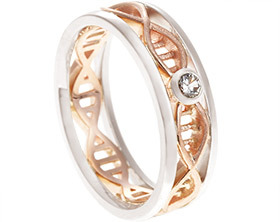 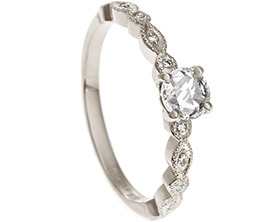 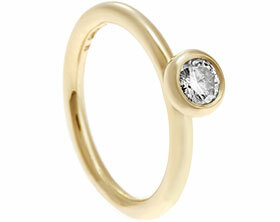 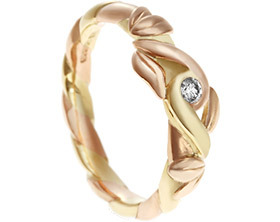 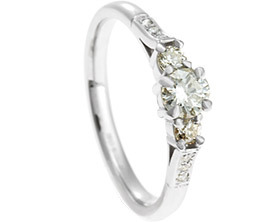 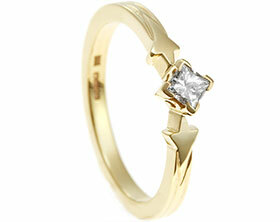 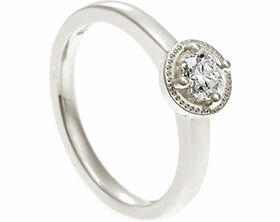 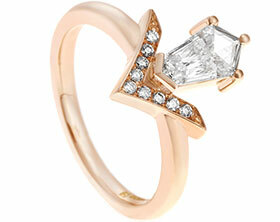 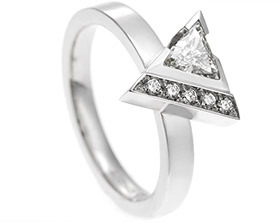 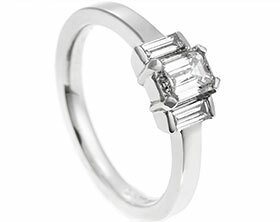 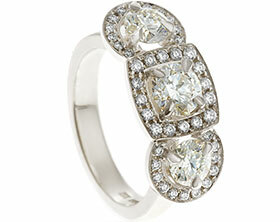 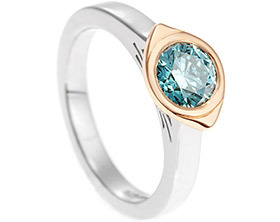 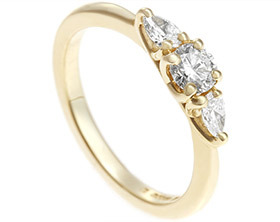 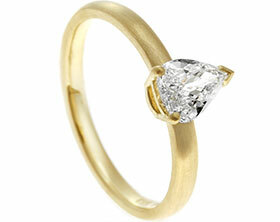 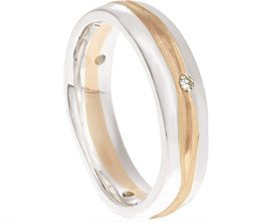 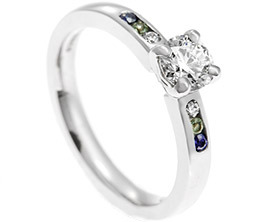 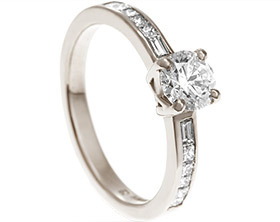 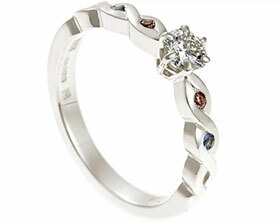 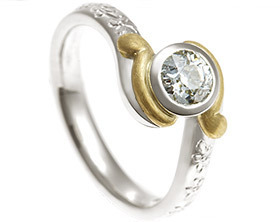 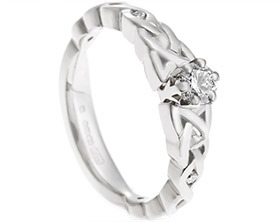 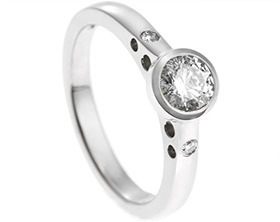 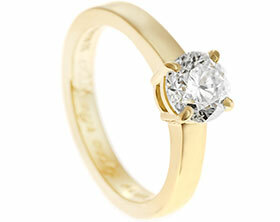 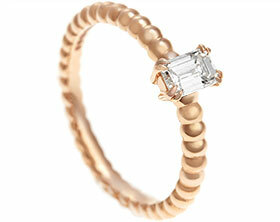 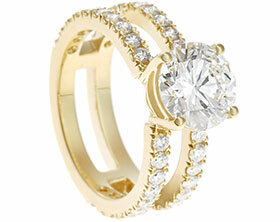 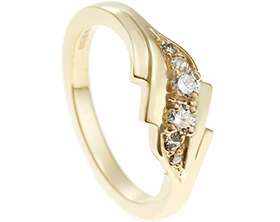 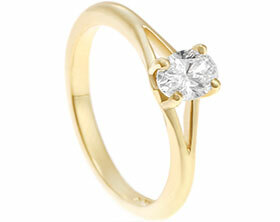 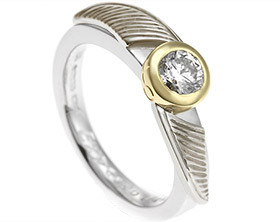 The delicate 2.5mm wide band has a d-shaped profile and tapers towards the setting to highlight the beautiful stone.